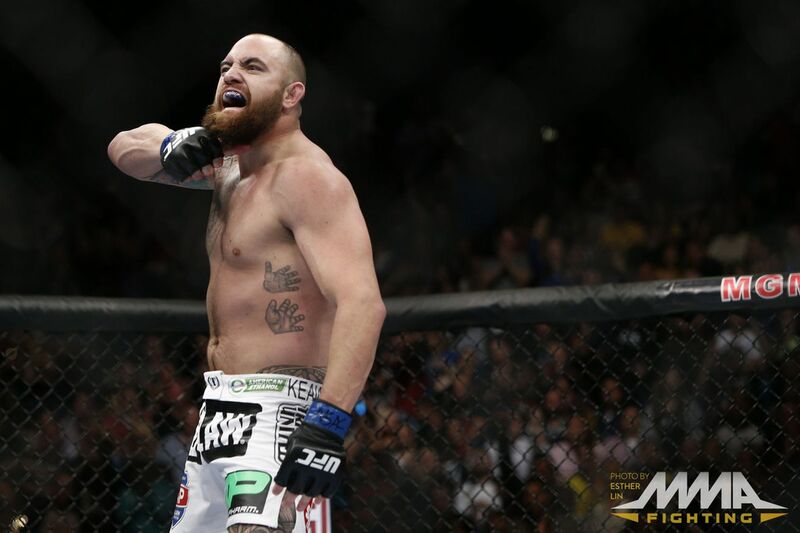 Before Travis Browne takes on Derrick Lewis in the main event of UFC Fight Night 105 later tonight (Sun., Feb. 19, 2017) inside Scotiabank Center in Halifax, Nova Scotia, Canada, lets take a trip back memory lane to see one of “Hapa’s” most dominant performances. In December of 2013, Travis took on one of the stiffest tests of his mixed martial arts (MMA) career, facing longtime veteran Josh Barnett at UFC 168. But the towering Heavyweight made it look easy, dropping “The Warmaster” with a knee as he was going in for a takedown attempt. For more on that intriguing heavyweight tilt click here.